My husband and had I decided exactly how we wanted to school our children while still in cross-cultural training even before we left for the field. We listened to talks about all of the various options, listened to personal testimonies from families using each of these options, talked together about our priorities for our family and ministry, and by the end of this segment on schooling options, we were really excited about going the route of national school. 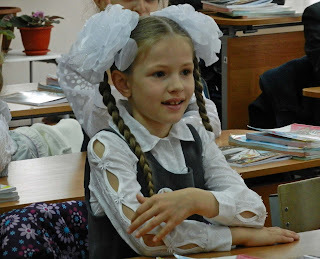 We moved to Russia, and when our first child was old enough, we started her in Russian pre-school so that she could get a strong language foundation. Right away we discovered an amazing pre-school that all of our children have loved and truly flourished in. It was a perfect start to our educational plan. 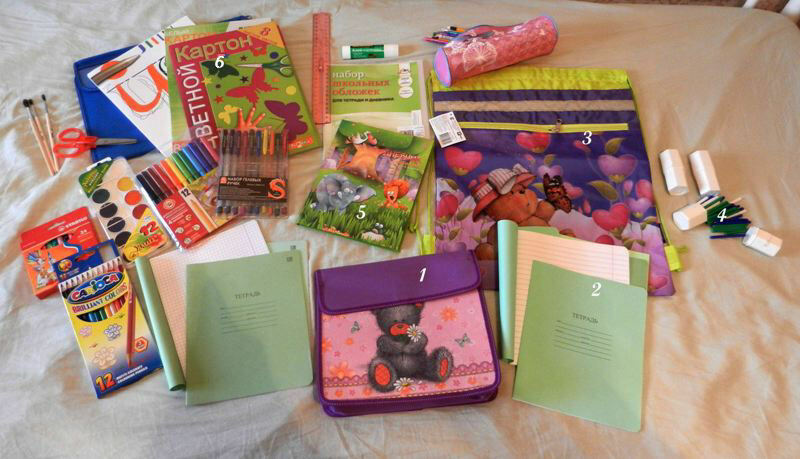 After a few years of pre-school, it was time to start Russian first grade. Everything started off fine, but we soon realized that even with the years of Russian pre-school, our daughter still didn’t have the language to really grasp all that she was learning. It was first grade though, so we just figured that things would get easier over time. Things did get better, but after a month or two we ran against other unexpected problems. It turned out our neighborhood school was among the worst in the city and had a constant rotation of teachers coming and going. We also learned that all of the troubled children were sent to our school. We ended up having to remove our daughter from her class for a period of time due to the physical danger presented by violent classmates who were fighting, throwing tables and chairs, kicking kids in the stomach, and other things. It was awful. We switched schools. The second school was much better, but when we first asked the teacher, who was nervous about teaching our daughter, how teachers usually work with children who didn’t speak fluent Russian, her response was, “Well usually the children DO speak fluent Russian.” She had no idea what to do with us. There is no Russian as a Second Language program here. The teacher was very kind and wanted to help, but she simply had no idea how. Her solution was to give extra homework to help my daughter catch up. We ended up drowning in homework that my daughter absolutely could not do on her own. I had to sit with her for hours each day after school, which left my other 3 kids with inadequate attention from me, and left me mentally and emotionally exhausted and overwhelmed. At the end of 2nd grade, my husband and I had some good long talks about school and our hopes for our kids. We realized that we were fighting so hard to make Russian school work when in reality it wasn’t even fulfilling the purposes for which we originally chose this route. Our hopes had been that our kids would really feel like they fit in with the kids where we lived and that they would feel connected, and we had hoped that being a part of the local school would make us as parents more connected to our community. In reality, though, our daughter was beginning to hate Russian and many aspects of Russian culture and wanting to escape it, and I was so busy with homework that I had no time or energy for people outside of our family. These two years were the most stressful and isolating years of all of my 9 years in Russia. We ended up deciding to go a new route that we had never thought we would. We put our children into an English-speaking Christian international school. Despite our previous ideas about why this would not be the best route for our family, we quickly saw that in fact it was God’s perfect provision for us! As a result of our school, I now have a community of believing women to have fellowship regularly, and we all have so much more emotional and physical strength to be able to pour into our relationships with Russian friends in our community. What I thought would have separated us from the culture has actually given us the reserve energy to be able to delve in more deeply. Praise the Lord for His perfect plan and leading! So of course I don’t write this to discourage anyone from going with national schools. I have heard so many wonderful success stories with that route, obviously. We heard enough for us to have desired this for our own family! I do write this though as an encouragement to have a clear definition of your priorities for your children’s schooling option, and to periodically re-evaluate whether or not your schooling option is now or could in the future meet your goals. If not, that may be a good time to either re-evaluate your goals or your schooling option. What are some of your family’s top priorities in choosing a schooling option? Have you ever switched schooling options, and if so, why? Thank you so much for sharing this with us, Ashley! I am so glad that you all have found a good place for your kids (and for you! ), especially after such difficult experiences. I also love seeing God's good plan for you in providing an option that has allowed you to have more energy to really delve into the culture more deeply after a couple of years of feeling very isolated. Praise God! Thank you for sharing. We also changed our education plan once being on the field for a little while. I am learning to let God write our story rather than just force my plans to meet the picture I have in my mind of what it is supposed to be. Longevity ~ "It's a wrap!"